Flags are a part of national identity, as flags are often displayed on product packaging, clothing and propaganda posters. Usually, the more proud people are of their country, the more flags you see around buildings. This is, however, also determined by whether a flag is seen as a good flag by the people. According to Mars (2015), city flags in the US are, with some exceptions, among the worst in the world, and for that reason not often on display. Those that are seen as good, due to their simplistic designs and lack of letters, are all over the place. Most countries have a national flag and a banner. Some countries, like the United Kingdom, have multiple versions of their flag, with the most common example being the so-called “red ensign” design, while other countries, like Malta, have separate flags for ships. Furthermore, there are countries that change flags, or have a separate flag for when at war. I’ve always liked flags. The idea of resembling a country, region or city by means of symbolism and colours is simply fascinating. The first full-sized flag I bought were the famous stars and stripes of the US, because my high school hosted a US-themed party and I thought it would be a cool costume. The US flag being the most well-known example of symbolism in flags, with the stars resembling the 50 states and the stripes the first 13 in the federation, sparked my interest into digging further into flags and symbolism. After collecting flags for a while, and I ran out of good-looking flags to order, I began to wonder what makes a flag a good flag. So, what makes a flag a good flag? Probably to some people’s surprise, there actually are guidelines set up by the North American Vexiollogy Association on what a good flag should contain, and maybe even more important, what not. It’s worth noting though, that the following guidelines for designing flags are just guidelines, and are not official. Let’s start with the best –or worst- example of a bad flag. 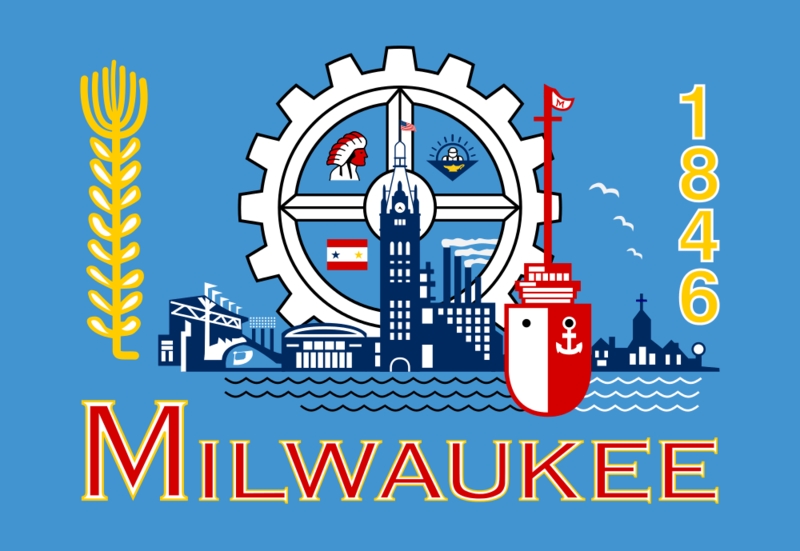 The flag of Milwaukee, Wisconsin, is generally seen as the worst flag currently in use. Otherwise, the flags of New Mexico, between 1912 and 1925 and the former flag of Pocatello, Idaho, would also make prime examples on how not to make a great flag. First of all, text is by no means permitted on a flag. In film, a commonly used sentence is: “Don’t tell them, show them”. The same goes for flags. Flags are all about symbolism (explicit symbolism), meaning colours, and what those colours symbolize (implicit symbolism). The flag’s entity should be represented by means of symbolism, not text. Again, the United States and its counterparts don’t care about this too much, as both Guam and the U.S. Virgin Islands have some kind of text on their flags. 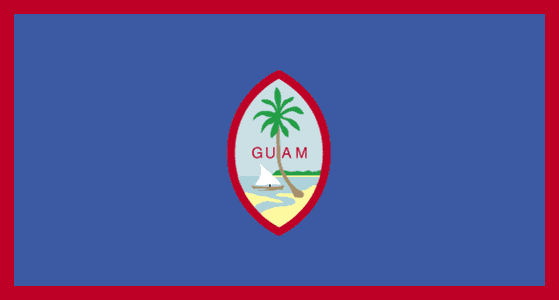 While we’re at it, the flag of Guam symbolizes the territory well. The sandy beach and the palm tree in the middle represent Guam’s tropical, Pacific Ocean aesthetics. It is, however more a coat of arms on a flag than a separate design. Ideally, a country or entity that is important enough for a flag, should have both a coat of arms and a flag. Second of all, a flag should not be too similar to other existing flags and should be recognizable as a flag. This in one of the reasons I think that the Netherlands has a rather boring flag, as Luxemburg, Paraguay and Croatia have the same red-white-blue tricolour design, or use it as foundation for their flags, as seen in the comparison down below. This principle, however, doesn’t apply to the Scandinavian countries, because, although they use the same design, there is variety in colours and the inclusion of an extra layer on the main cross also differs between countries. Another prime example that marks the importance of this criteria are the former flags of the republics within the Soviet Union. In the 1950s, all Soviet republics had a red flag with just some Cyrillic characters in the upper left corner as district mark. Because the flags were so similar, the UN decided that the Kremlin should add some variety in the designs, spawning a range of similar, but yet to a sufficient extent different flags. 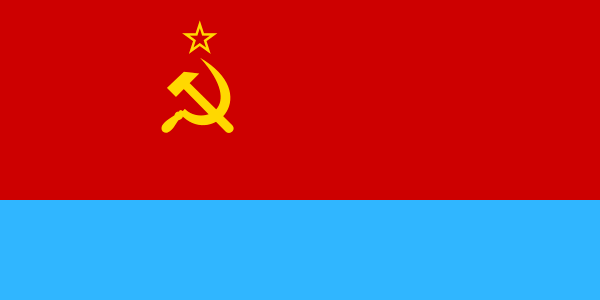 Each soviet republic had the same red background with (the Georgian SSR being the sole exception) the yellow hammer and sickle in the upper left corner, but motives (Belarus SSR), waves (the Baltic states except Lithuania) or different coloured stripes (most other soviet republics, including the Ukrainian SSR as well as the Russian SSR). The rule that flags that should be recognizable as a flag mostly applies to flags like Milwaukee, because it is more like a logo than a flag and the former monochrome flag of Libya (which was unique in it’s simplicity). Thirdly, a flag should not be too complicated, as according to the NAVA, a flag should be simple enough for a child to draw it from memory. Although Mexico’s flag looks rather simple at first sight, the image of the bird in the middle actually adds about fifty different colours into the mix, which makes Mexico the country with the most complicated flag. Other countries such as Swaziland also have a great amount of detail and different colours in their flags. Yet again, the United States national flag makes the perfect mix between symbolism and simplicity, but U.S. city (and arguably state) flags are often the worst. In such cases, simplification can improve flag designs a lot. 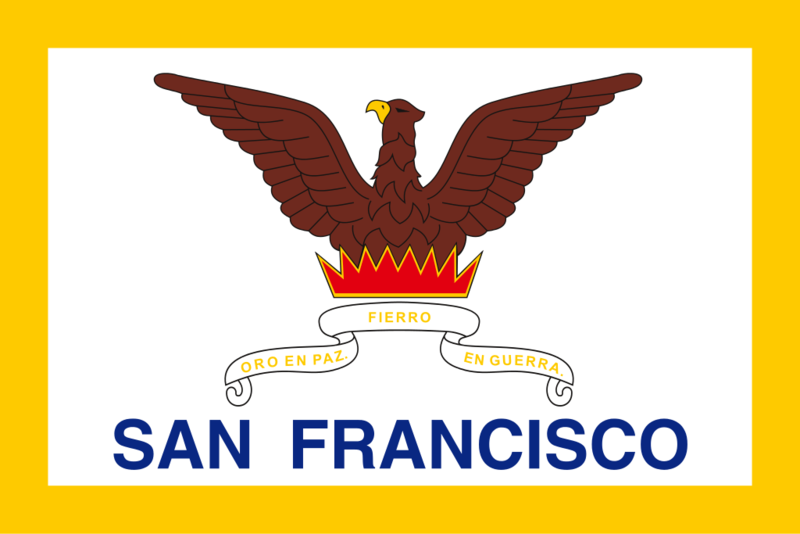 For example, the San Francisco flag before and after simplification: no more text and better drawability, while maintaining the original design. A good flag can be recognized if there is obeyed to the aforementioned guidelines (which doesn’t necessarily mean that flags that don’t obey to the guidelines are bad). In my opinion, the flag has a somewhat higher rank than for example a company logo or a coat of arms, because the flag of a country most often represents the people, rather than the royals (coat of arms) or the rich (company logo). Flags are also often associated with the army, national unity and regional pride, and more often on display on important or serious occasions than for example a company or government organization logo. To conclude, how does the Dutch flag weigh up? As previously stated, I think that it is a bit boring because its lack of explicit symbolism, and its doubtful uniqueness-factor among other flags in the world (as seen in the section about originality). These factors, however, don’t make the flag of the Netherlands a bad one, but by no means a perfect one either. 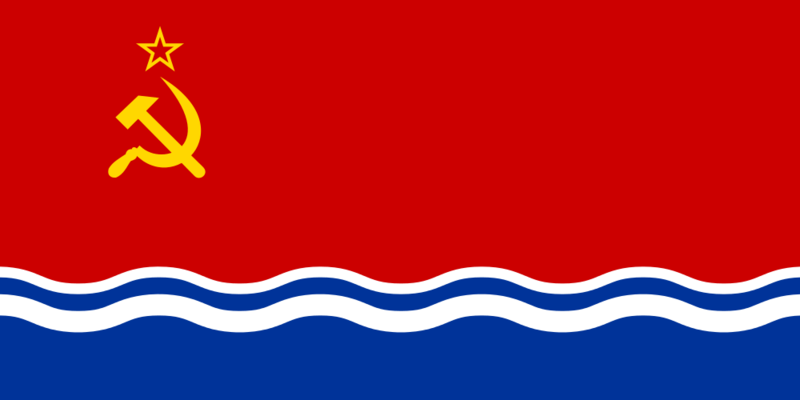 A in my opinion fitting suggestion would be to change the white stripe in the middle into a white wave (a bit like the wave in the flag of the Latvian SSR), which would symbolize the presence of water within the Dutch society, and our everlasting struggle against it nicely. 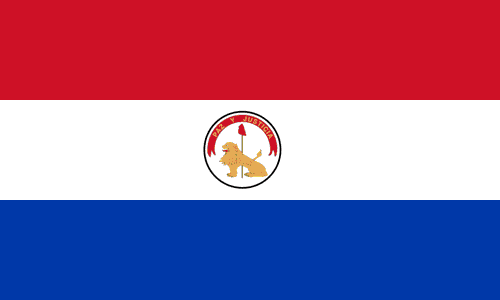 On the flip side, the Dutch red-white-blue is also often associated with the East Indian Company and the Dutch golden age, and therefore, the flag is considered heritage to such an extend, that changing it would hurt more than do good. This article was published in our December 2017 issue.